This cover up is so fun and versatile! 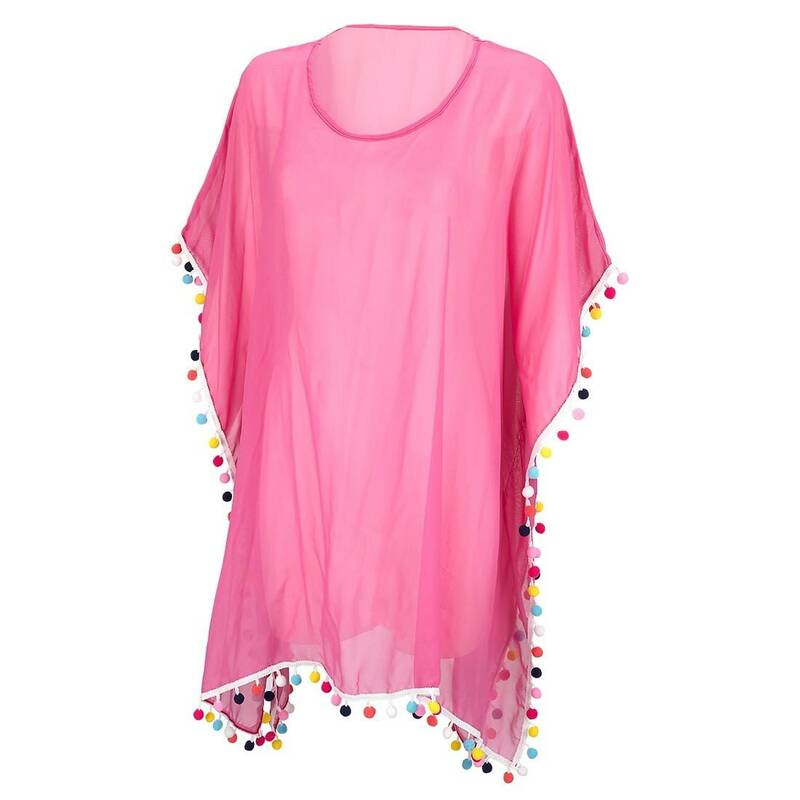 From the beach to the resort, the Pom-Tastic Cover Up is the perfect throw on when you're on-the-go this summer. Adorable pom-pom trim detail will have you feeling fab as soon as you throw it on. The optional embroidery personalization makes it even more special! Monogram placement is along the bottom left side. 1. Use the pull down menu and select "Add Personalization"
2. 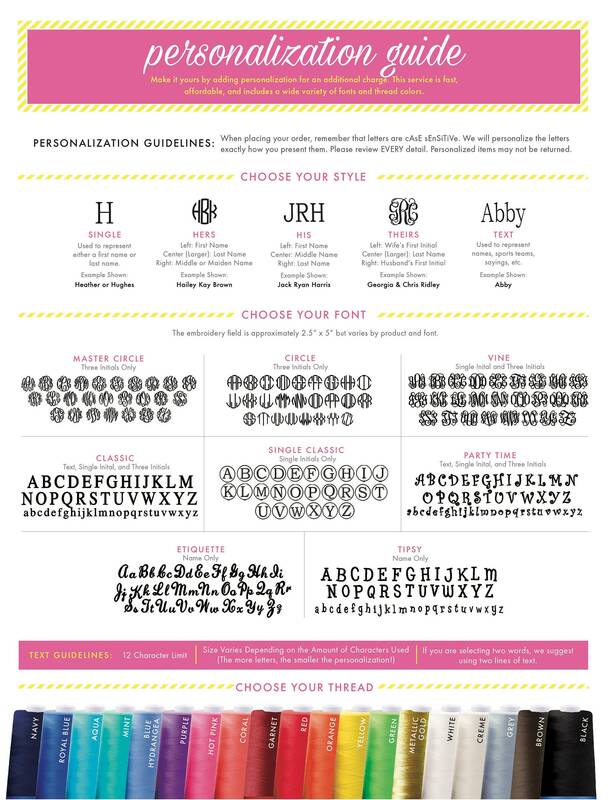 Provide Monogram Initials in the space provided or during checkout. 3. Provide your font and thread color choice during checkout.